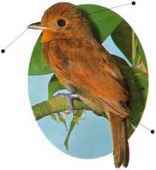 Living in forested mountainsides at altitudes where the climate is subtropical, this small bird feeds on insects and fruit. It forages at all levels in the vegetation, usually in pairs and often in mixed-species flocks. • NEST A rounded, woven structure, with the entrance near the bottom, built in a tree fork. • Distribution Costa Rica to W. Venezuela and W. Bolivia. I his species is conspicuous for its black-and-white plumage and for its way of perching on exposed branch-ends. 'i^f, The stout bill is adapted for eating fruit and large insects. 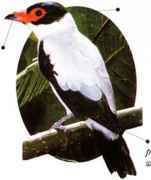 Usually in pairs, it frequents the canopy at forest edge or beside clearings. 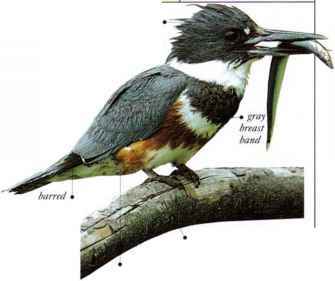 • Nest a Clip nest on top of a pile of leaf litter, stuffed into a woodpecker bole or other cavity. • Distribution Lowland rain forest from Colombia and FEMALE Venezuela to N. Argentina.